A dedicated connection gives your entire networked organization access to the Internet through a single high-speed connection. Why is a dedicated connection better? A dedicated connection is always on, 24 x 7, with no busy signals, no drop off, and no slow downs. It's much faster than the alternatives, and different levels of speed can be purchased. A basic T1 is more then 24 times faster then a standard dial-up. In an average 10+ user business environment, a single dedicated connection is much cheaper and easier to maintain and support then having many individual phone lines and dial-up accounts. A single dedicated connection is more easily controlled and monitored for security than various dial-up connections. Greater productivity is gained because users don't have to worry about busy signals and data is transferred much faster. Our network operations staff proactively monitors your connection and is available for support 24 x 7 x 365, with average wait times of less then one minute for technical support. We maintain a superior high-speed regional (Massachusetts to Washington DC) network. [Big National Company] can't offer the same focus. Same day repair or replacement of equipment. Ask [Big National Company] if they offer that. Personalized service. You are not just a number, you are an important customer to us. In most of our coverage area, we can beat the price of any competitor. We want your business! Do they? How do I get a dedicated connection, and how much does it cost? Every dedicated connection requires a custom quote based upon speed required and physical location of your site. 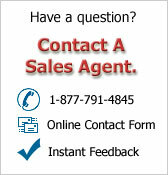 Simply contact our office at 877-791-4845, or sales@njaccess.com for further assistance. Turn-key packages start as low as $399/month. Once a dedicated connection package is chosen, we will order all circuits/local loops, all equipment, and perform all necessary installation work to have you up in running in the shortest amount of time with the least hassle. We manage the entire process from beginning to end.